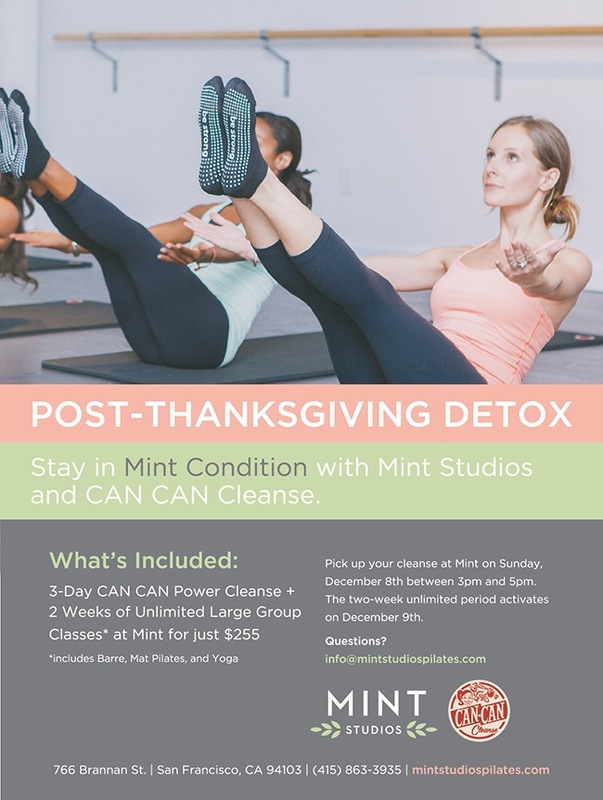 Post-Thanksgiving Detox with CAN CAN Cleanse! The first five sign-ups receive a cute Mint Studios tank, on us! CAN CAN Cleanse is a nutritional liquid cleanse program that gives your body a break from the stress and toxins of your on-the-go lifestyle. For more info on CAN CAN Cleanse, click here.